The development of computer information systems and telecommunication technologies has led to the formation of e-business as a new kind of economic activity. Ecommerce is an important element of electronic business. Electronic commerce includes any form of business transaction in which the interaction of the parties is carried out electronically instead of a physical exchange or direct physical contact, and as a result of which the right of ownership or right of use of the product or service is transferred from one person to another. E-business has four main stages of use: marketing, production, sales, and payments. Level of use of information and communications technologies and systems is a measure by which the business can be considered as electronic. Our company is a global provider of dedicated programmers and development teams for different industries including eCommerce. 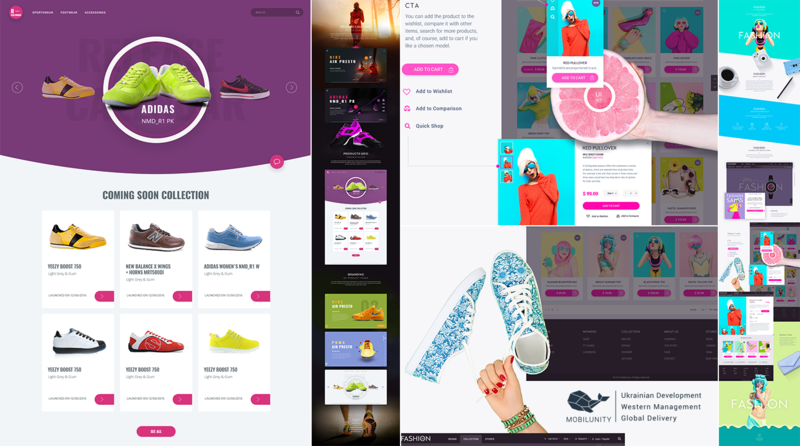 Having worked on numerous eCommerce projects and having developed custom marketplaces, eCommerce portals and platforms, we have enough expertise and in-house resources to assist any company to develop and grow their business. We offer custom IT solutions according to the requirements, IT trends and expectations of each and any client helping to turn their challenges and constraints into strong points. One of world leaders in eCommerce is Europe. In Germany the rapid growth of eCommerce industry with no signs of stagnation is in evidence. Analytics predicts that the volume of eCommerce in the country will reach $79.2 billion by 2020. By that time, on-line commerce will account for 15% of all retailers. These statistics indicate that the number of companies that use eCommerce tools is growing every day, which in turn means an increase in competition within the industry. We at Mobilunity help such customers find custom unique tech solutions that assist them serve the clients in the best possible and convenient way. Technology is one of the main advantages of any business and for eCommerce it is a must. Visiting an eCommerce summit is another way to keep your business afloat and it is also a good channel to learn about the industry trends. 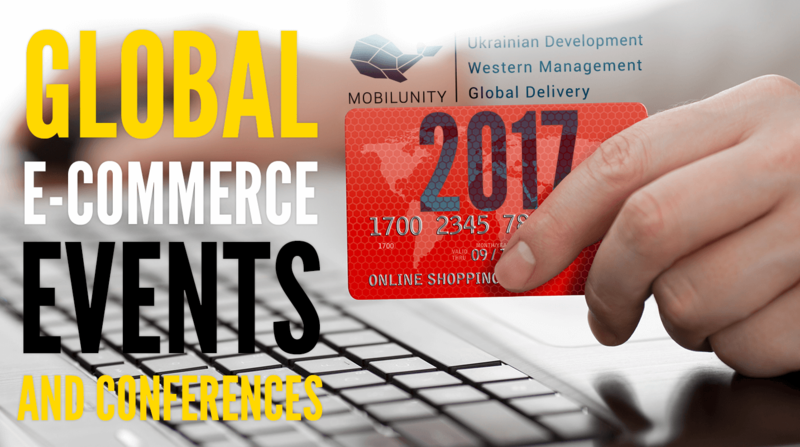 If you are interested in visiting some of eCommerce conferences 2017, we would like to provide you with a full list of these events which will take place all over the world. Don’t forget that eCommerce events 2017 offer you to meet representatives of companies that can be useful for your business. Moreover, they can be useful if you look for powerful strategies to improve your eCommerce site. You can meet IT recruiting or outsourcing company’s employees and find a solution for your business. Due to the fact that the world around us is unstable, and the reaction for various business signals needs to be lightning fast, IT outstaffing and outsourcing has become quite a popular service. This type of outsourcing is especially popular today among fairly young companies that are actively developing, and have no desire to expand their own IT staff. Thanks to IT recruiting any company can significantly reduce the cost of ownership of its own information system and optimize the distribution of all the assets of the enterprise. If you want to realize all these needs right now, you have an opportunity to apply to Mobilunity and hire remote dedicated developers or receive ready solutions for your business. Visit eCommerce events to find the proper tech solutions for your business or get in touch with our Account Manager. We have the solutions for you!